Fresh bread, delicious dinners and fun cookies. 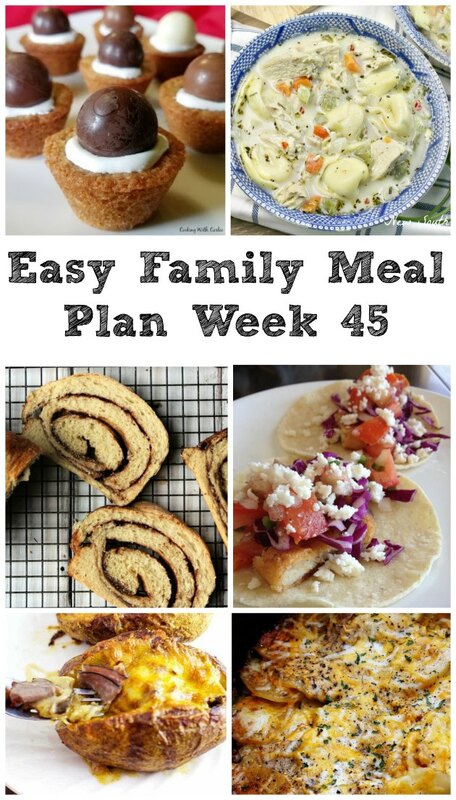 This week's menu is planned and it is going to be a hit with your family! We are hosting this year, but I am sharing cooking duties with my mother-in-law. I am getting excited. I have my grocery list mostly made and I think it should go smoothly. I am looking forward to setting the table and getting everything together. The boys are looking forward to hanging Christmas lights. It is becoming their Thanksgiving morning tradition. They hang the lights and watch as the Turkey Runners go by and wave to the ones we know. If you happen to be running the 10K in our local Turkey Run and you need a pit stop in our area, you're welcome! We are squarely in the middle of soup season and I am loving it. 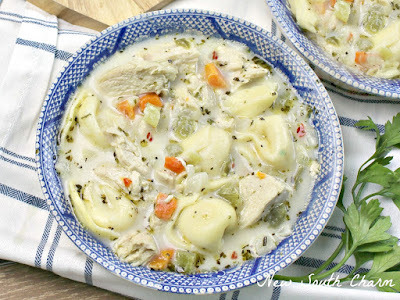 This easy chicken tortellini soup from New South Charm looks so comforting and delicious. 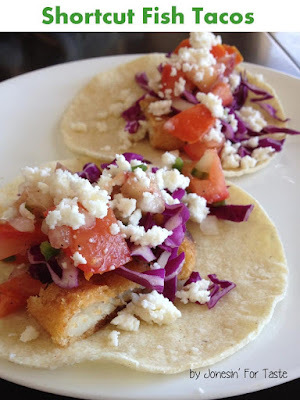 Next up we'll head to the coast with some shortcut fish tacos from Jonesin' for Taste. Tacos are always popular around here and these will be a perfect way to jazz up Taco Tuesday! Going into the holiday we'll want to keep things on the easier side. 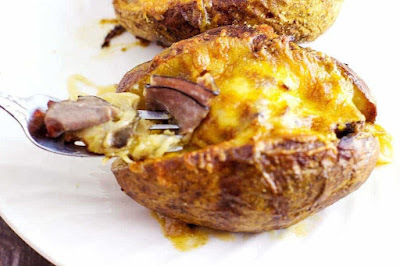 These roast beef stuffed potatoes from Seduction in the Kitchen will fill the bill nicely. 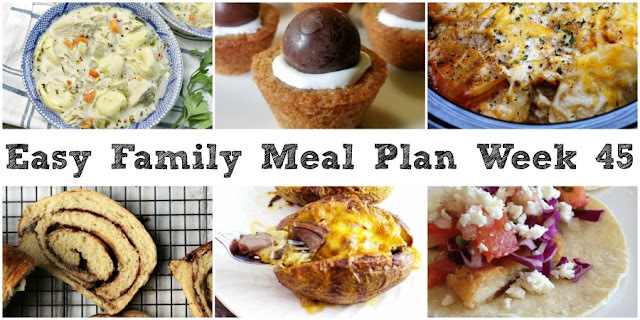 They will be a hearty way to feed the family without wearing you out. We know what we'll be having on Thanksgiving, but we'll still need a little breakfast. 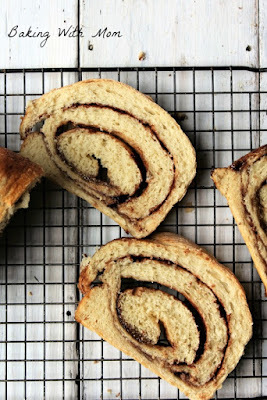 This cinnamon brown sugar bread from Baking with Mom is the perfect thing! Just imagine how good it is going to smell while it bakes too. If this doesn't get you in the mood, I don't know what will. Cozy up with a slice and the parade for a perfect morning! 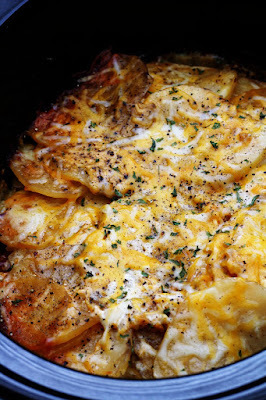 These cheesy au grautin potatoes from Recipe Treasures would be a perfect side for Thanksgiving. They'd also be a fun way to change up the leftovers. Or serve them with some pulled pork or burgers if you are looking to change things up! 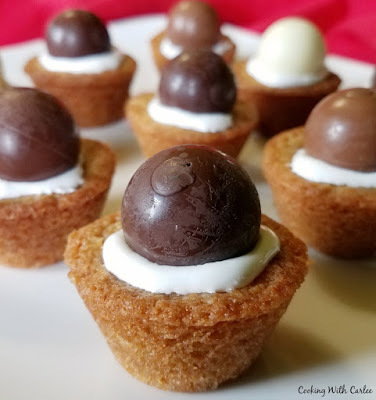 If you get to the weekend and find that the pies are gone, you can surely ply your house guests with some of the s'mores cookie cups. They are easy to make, stunners to serve and sooooo tasty to eat! I just love buying big ole russets and stuffing them with all kinds of goodness. Something about a big stuffed potato just feels so festive!! You're giving me all the good ideas girl!! Have a wonderful weekend!